CHATTANOOGA, TENN. (Thursday, Feb. 9, 2017) – The Little Debbie IRONMAN Chattanooga presented by McKee a Family Bakery and the Sunbelt Bakery IRONMAN 70.3 Chattanooga presented by McKee a Family Bakery ranked in the Top 10 in multiple categories in the inaugural IRONMAN Athletes’ Choice Awards. Scores were based solely on athlete surveys from all of the 2016 races globally – 40 IRONMAN and 96 IRONMAN 70.3 events. Every IRONMAN athlete is sent a post-event survey. In 2016, IRONMAN had 55,000 athletes respond to their survey. The 5-point satisfaction scale encompassed questions including overall satisfaction, best venue, city experience, post-race celebration, and more. 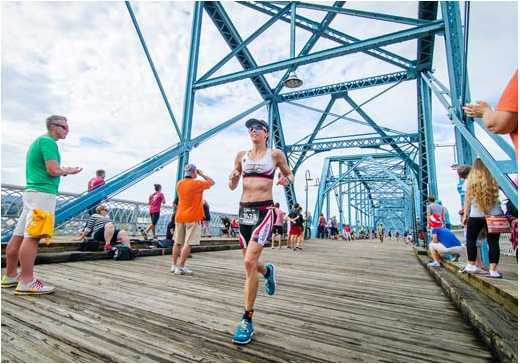 According to Doak, Chattanooga is 1 of 5 cities in North America to host both a full-distance IRONMAN and an IRONMAN 70.3 triathlon; 1 of 10 cities in the world to host both a full-distance IRONMAN and an IRONMAN 70.3 triathlon; and the ONLY city on the planet to host a full-distance IRONMAN, an IRONMAN 70.3 and the IRONMAN 70.3 World Championship (two day event).